In this issue bring you step by step articles focused on representing all the effects that can be seen on contact surfaces such as wheels, tracks, wings, and even boots! Through the inspiring work done by our collaborators, you will learn the most innovative and appropriate techniques specific to each subject, allowing you to realistically customize your vehicles and integrate the various elements determined by each subject's environment. 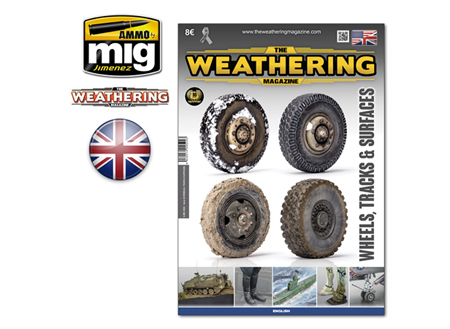 This is a fundamental consideration for all modelers, and in this issue you will learn critical aspects of placing your favorite models in a given setting, as well as how to apply the type of wear specific to the peculiarities of the physical environment. This issue is lush with inspiration and far too many tips and techniques to list.